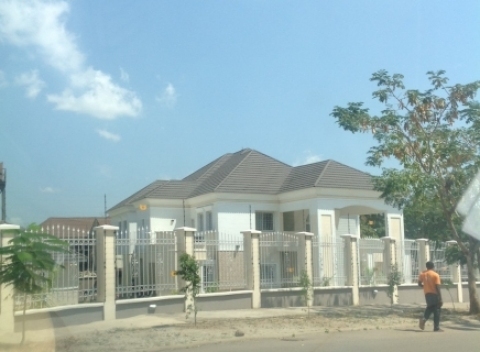 The Anti-Corruption Network (ACN) today released pictures of a residential building allegedly belonging Elder Godsday Orubebe, who is the minister of the Niger Delta ministry. The building was reportedly built for the minister by a construction firm, Setraco, which supposedly benefited from contracts to build a section of the East-West highway in the Delta region. The building is said to be located in the Mabushi area of Abua, the federal capital territory. The ACN has former House of Assembly members, Dino Melaye and Independence Ogunewe as its executive secretary and chairman respectively. Melaye said the offices of the group was burgled by unknown persons after it revealed that Orubebe was allegedly involved in other scams totalling N29bn in phony contract deals.